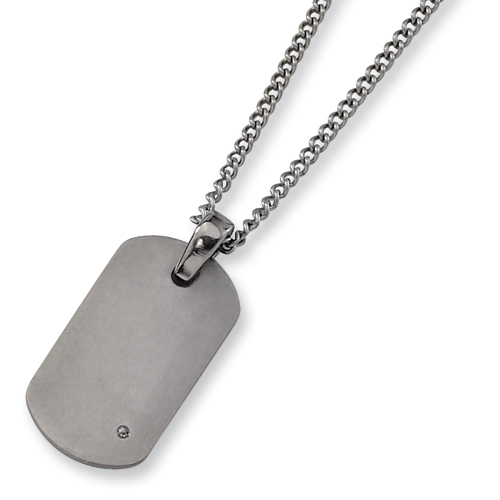 This titanium dog tag features a 1.5pt diamond accent. Brushed finish. Icludes a free 22-inch stainless steel chain. Fancy lobster clasp.